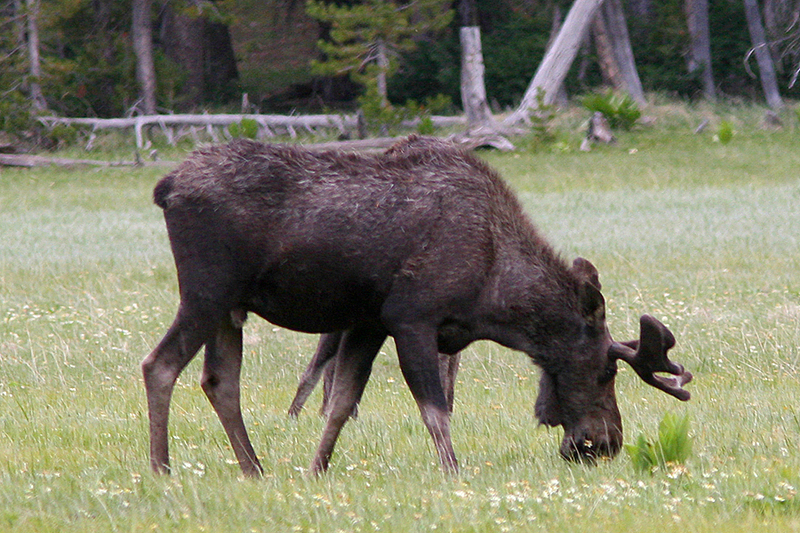 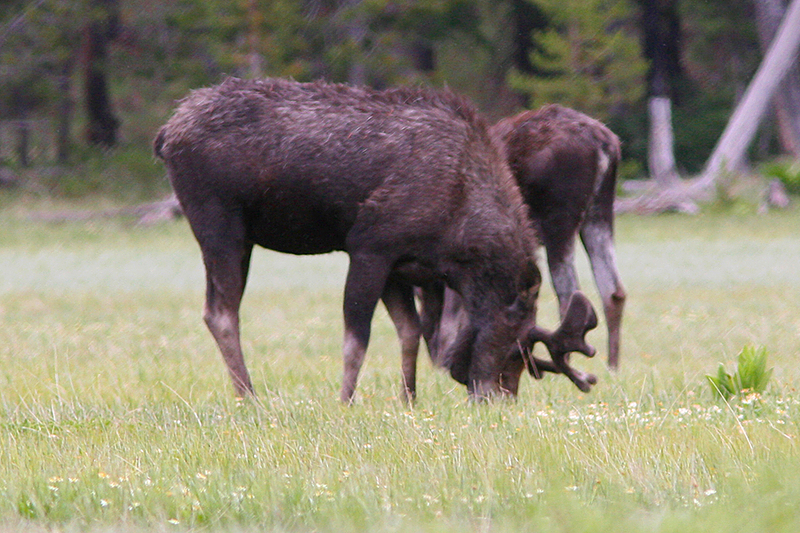 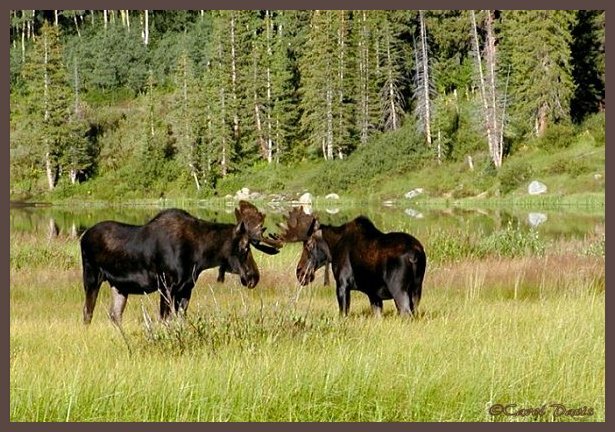 The bull moose moved over to the female and put himself between me and the cow when I moved a little closer. 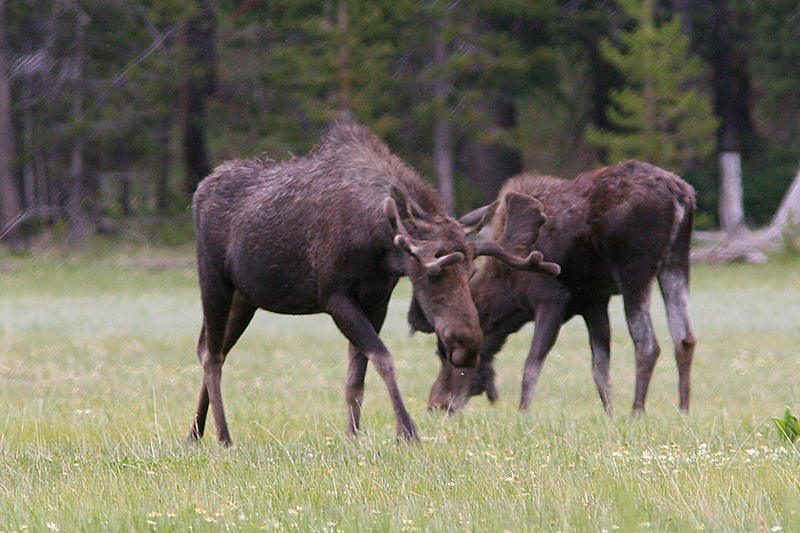 Not wanting to upset them, I left the area. 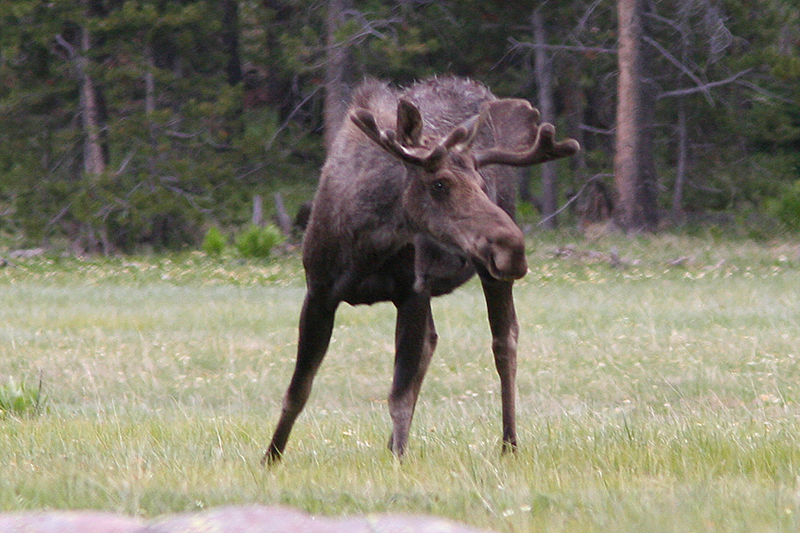 Their habitat is generally in the northern forests around freshwater.